This air conditioned 269 ft² suite offers relaxing views and a kitchenette so that you can enjoy an extended Holbox vacation. Guests can request an ironing board. In you need a crib, please request it before checking in. 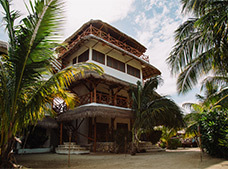 Perfect for those who want to spend an extended Holbox vacation, these spacious 538 ft² apartments offer a relaxing atmosphere and an equipped kitchenette, among other amenities.